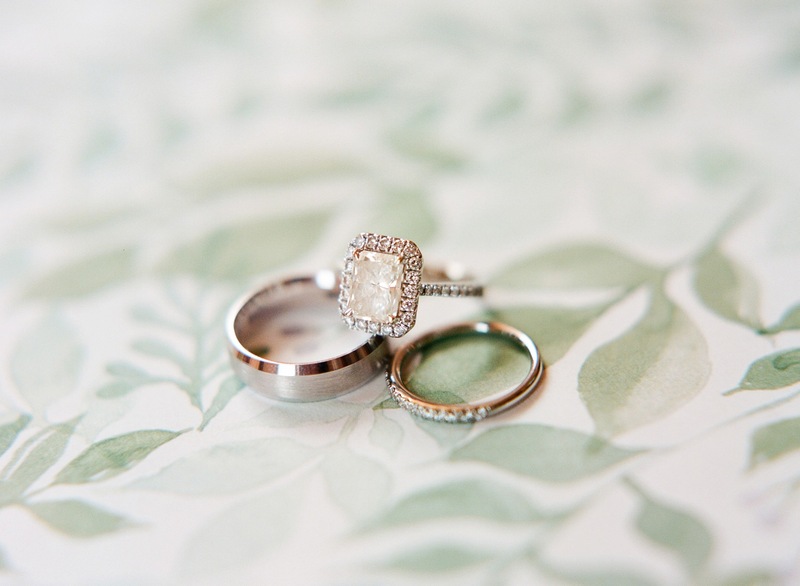 Kristin & Clinton’s Breaux Vineyards wedding was such a joyful celebration and a joy to capture! 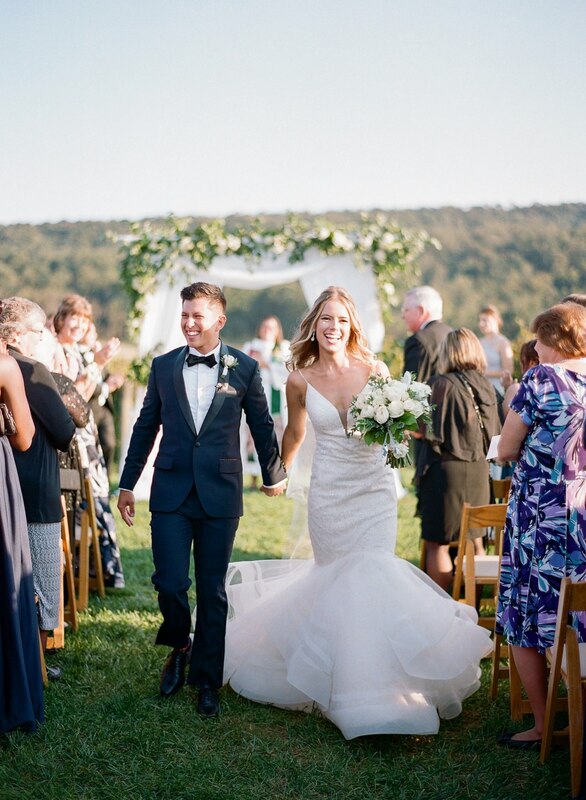 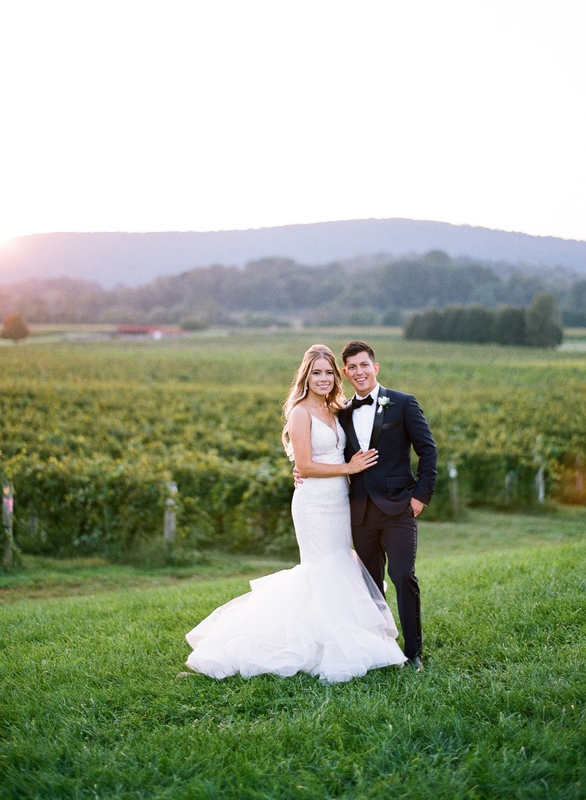 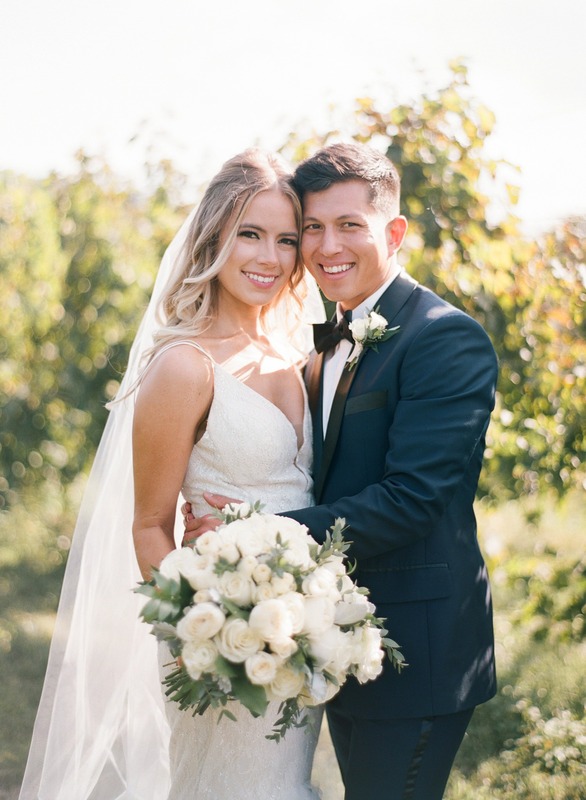 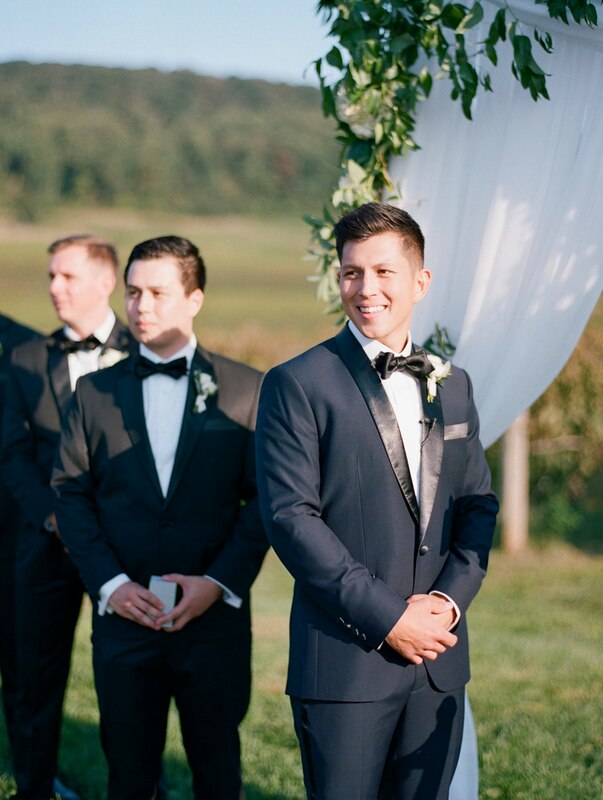 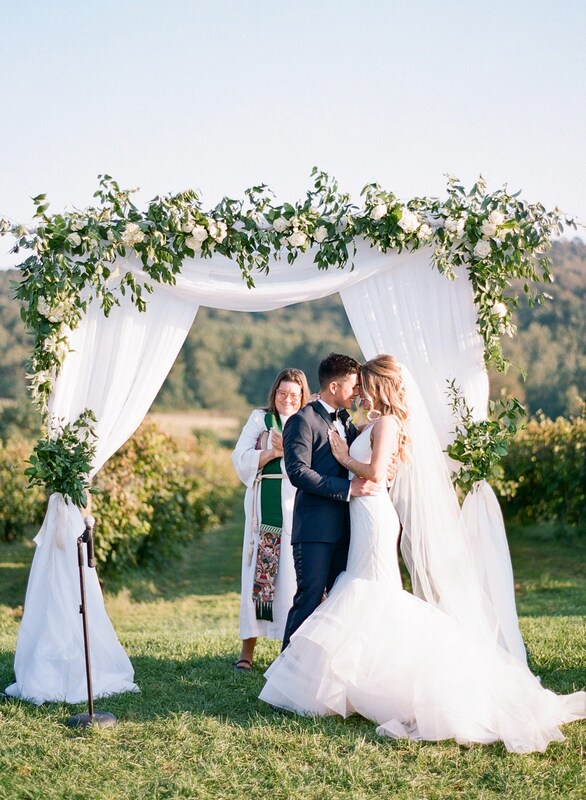 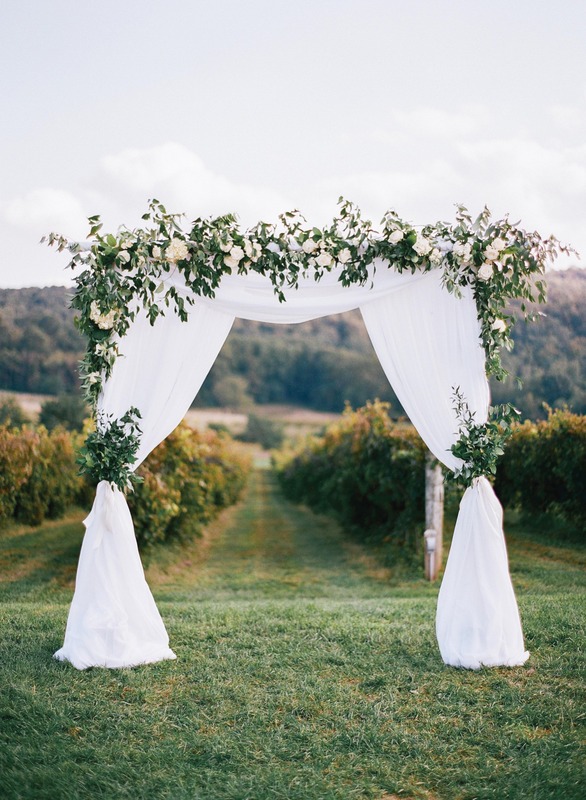 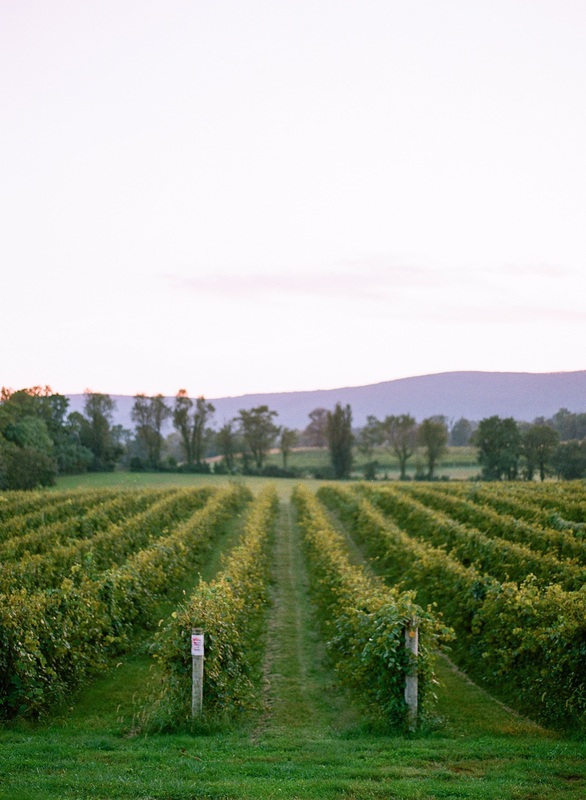 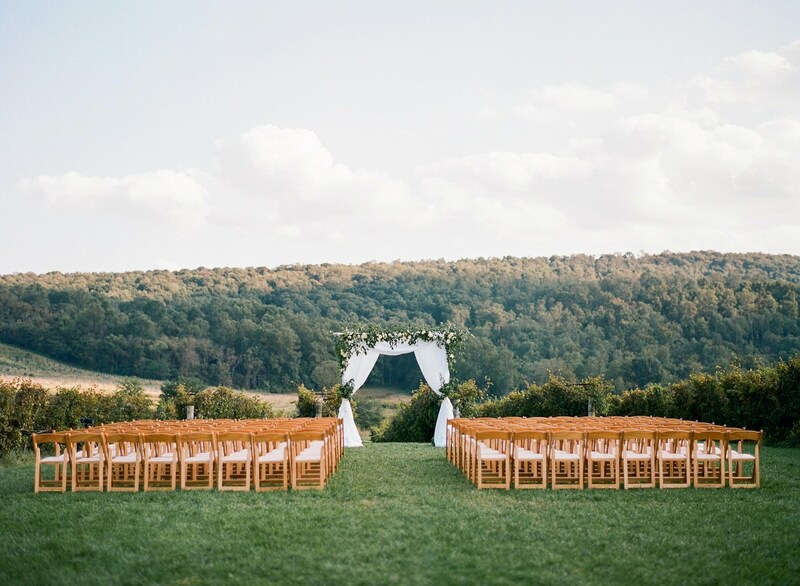 This sweet couple chose to tie the knot in a beautiful winery in a sleepy Virginia town overlooking the Shenandoah mountains. 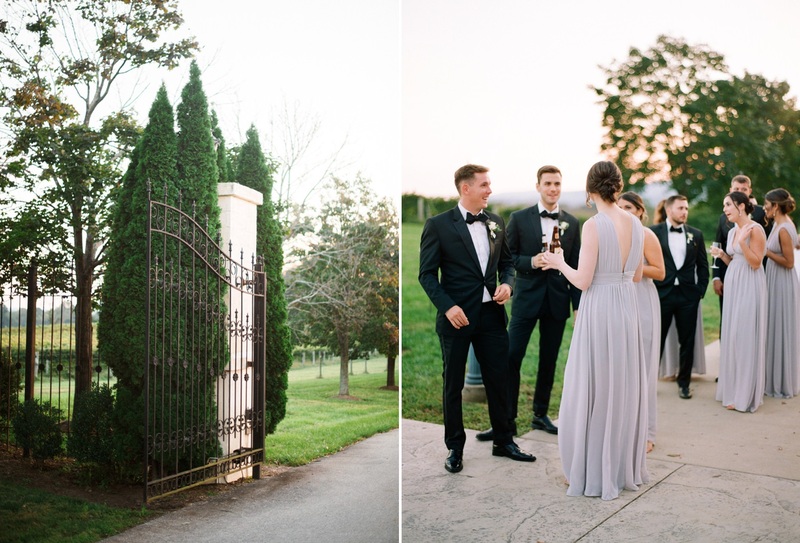 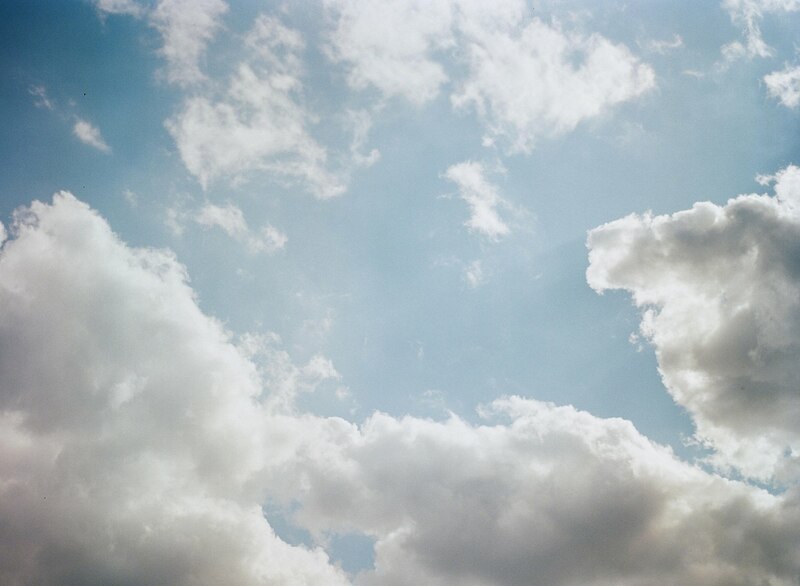 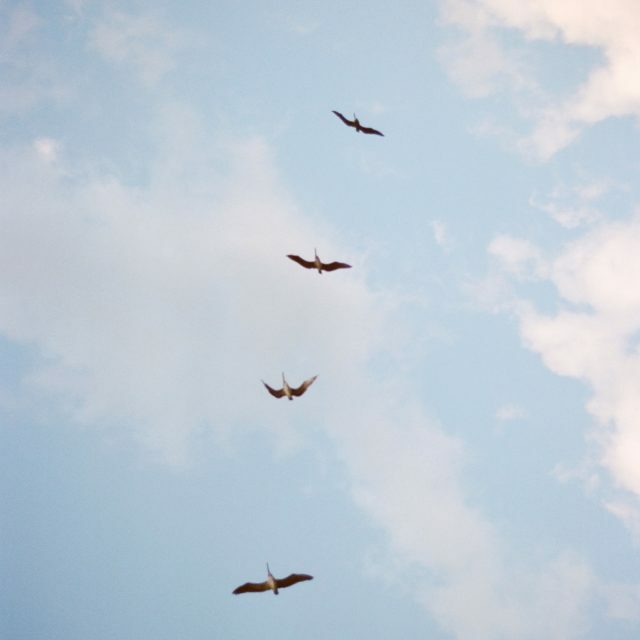 They hoped for a beautiful wedding day surrounded by family and friends, in the heart of wine country. 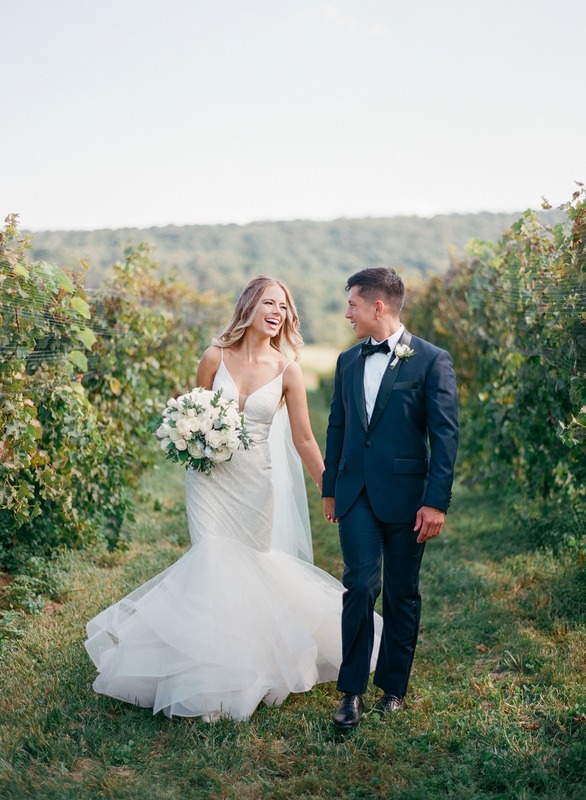 Kristin, who lives and works just outside of Washington DC, and Clinton, who is active Navy and resides in Norfolk, Virginia, have spent their long-distance relationship with lots of phone calls and planned weekend trips. 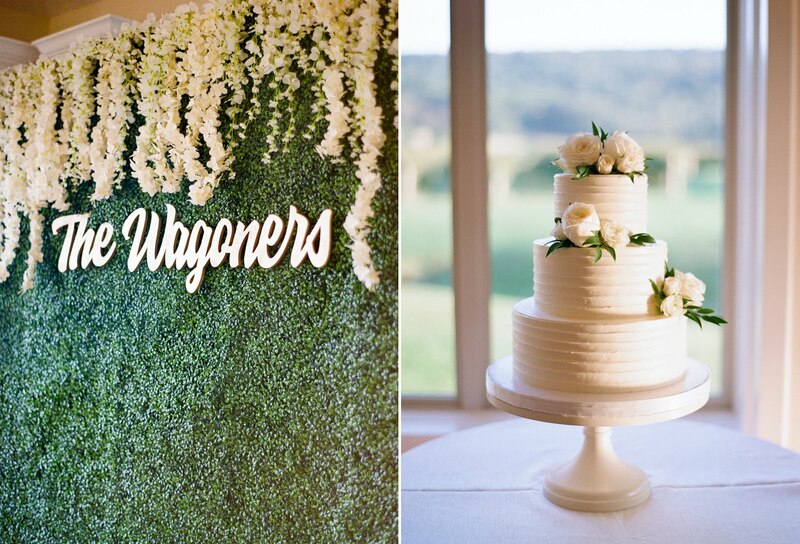 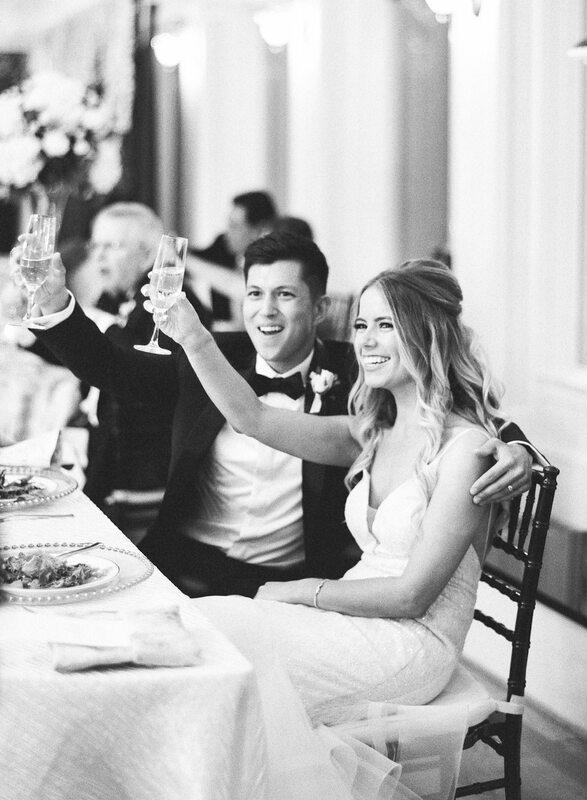 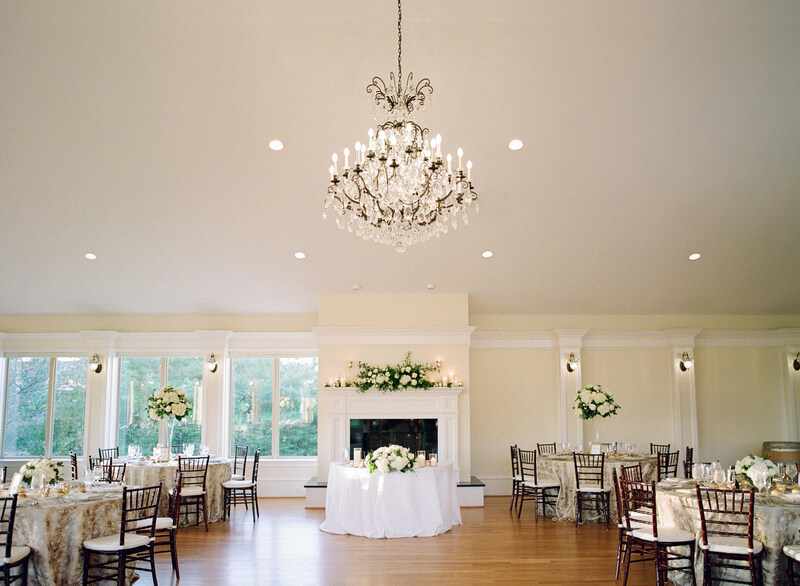 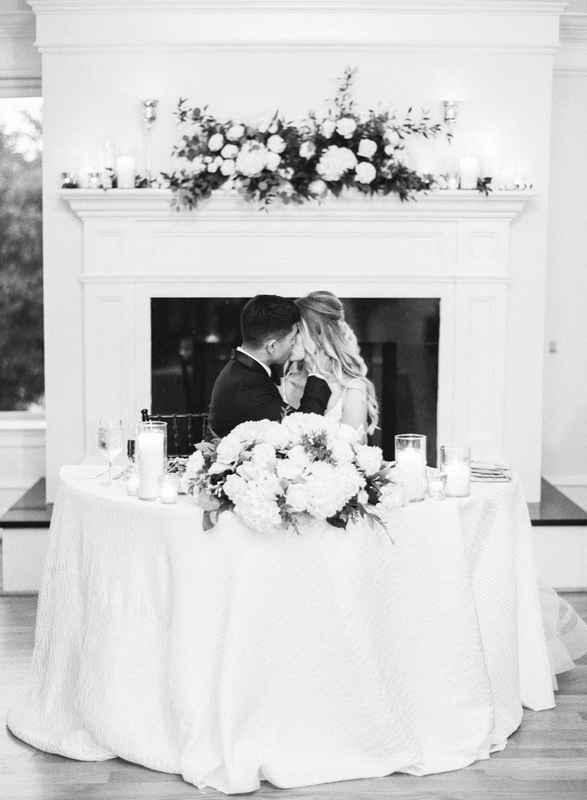 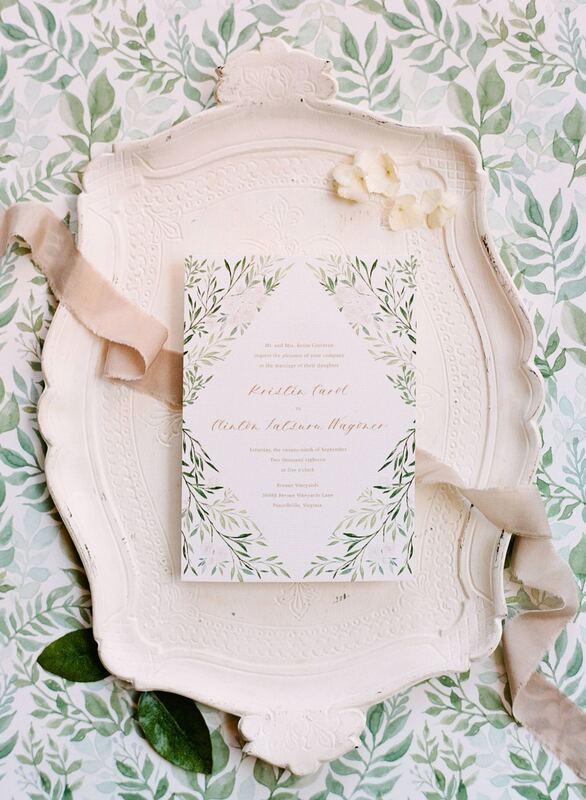 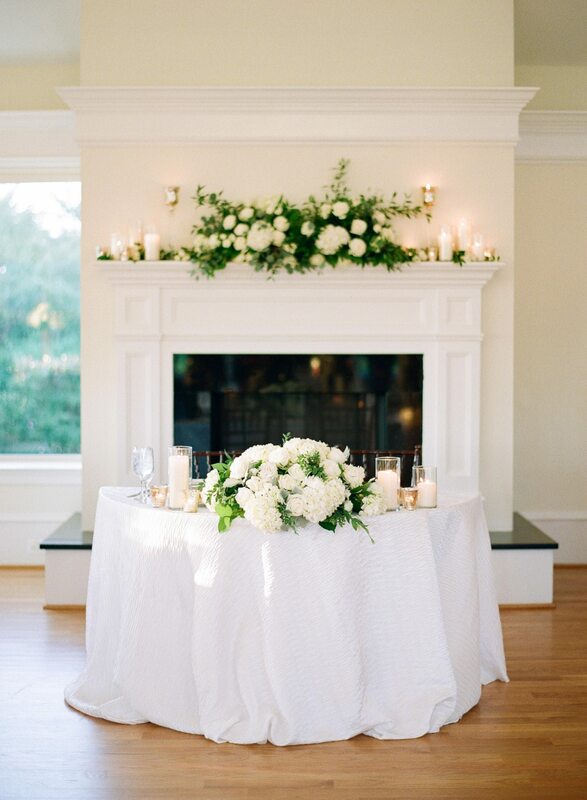 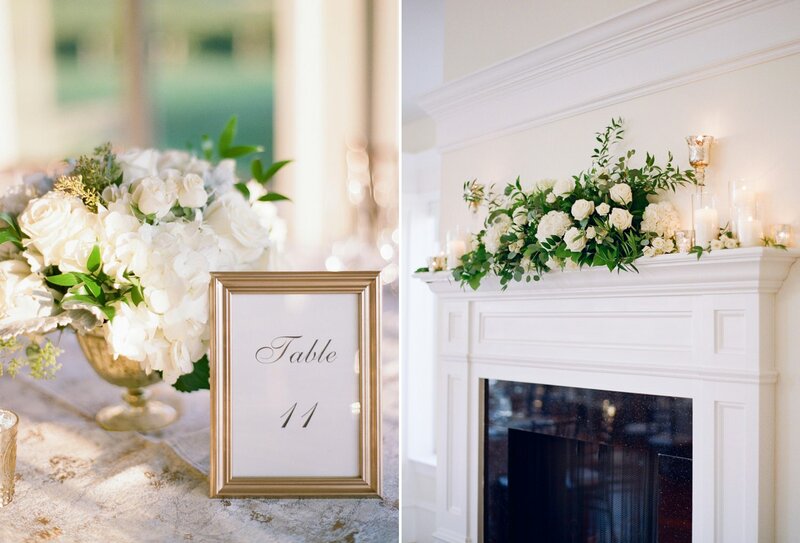 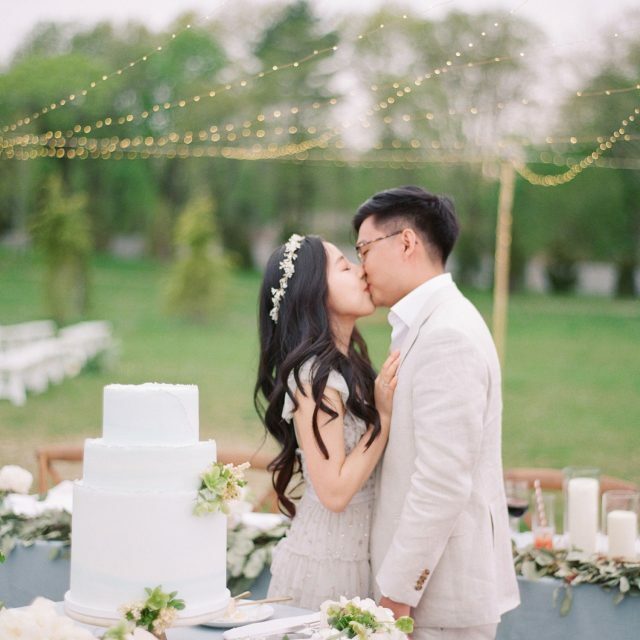 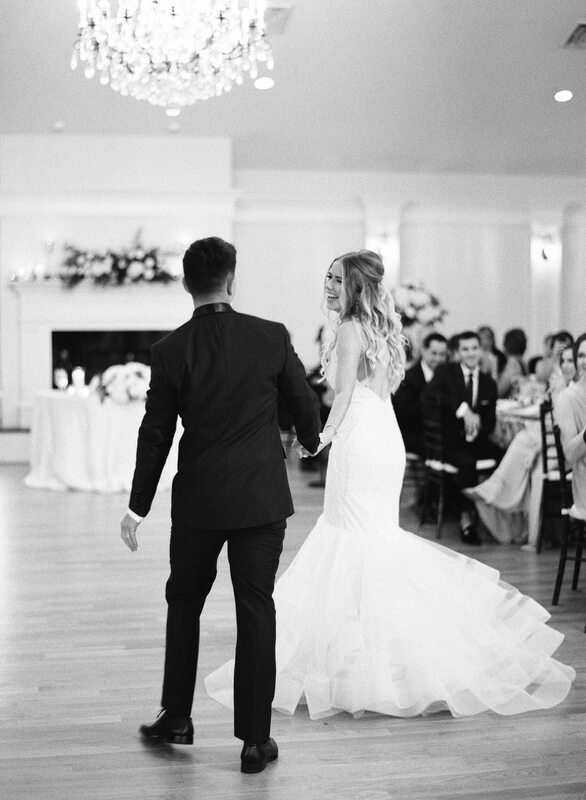 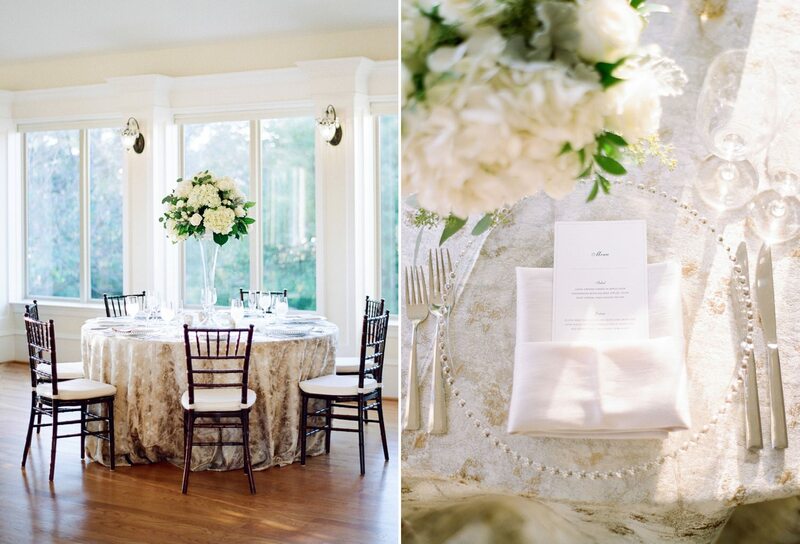 This sweet couple hosted a perfect celebration, with heartfelt touches at every turn. 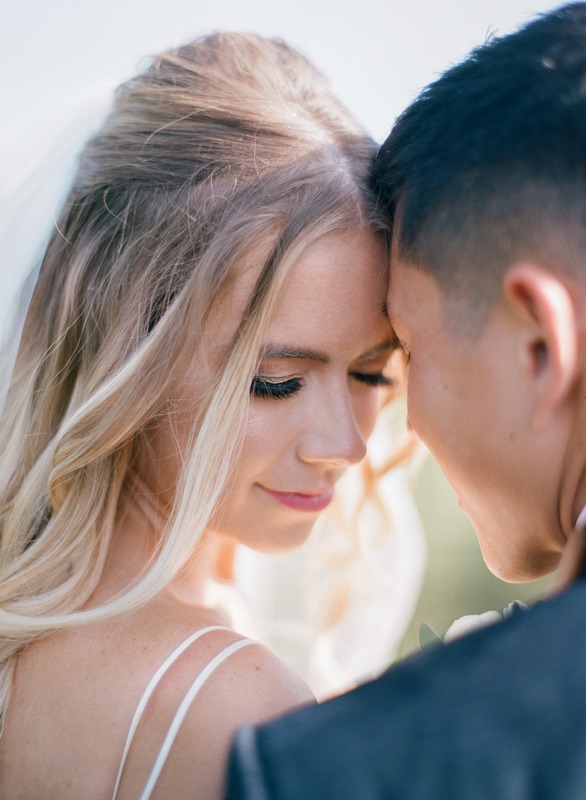 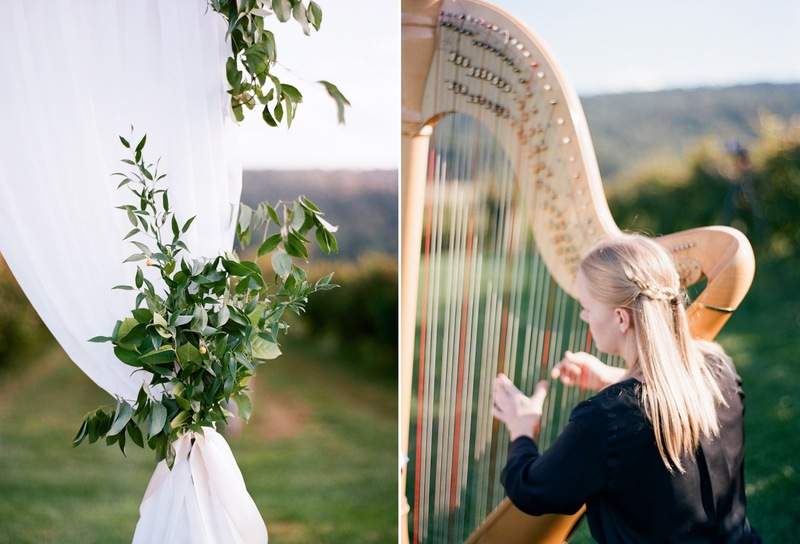 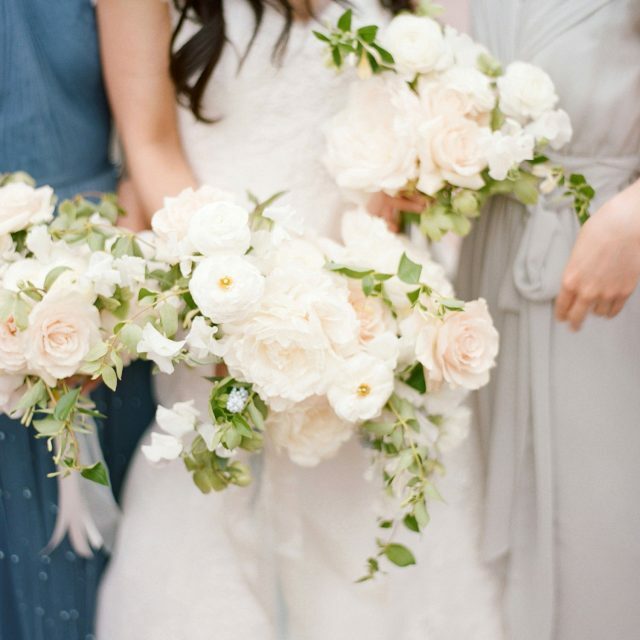 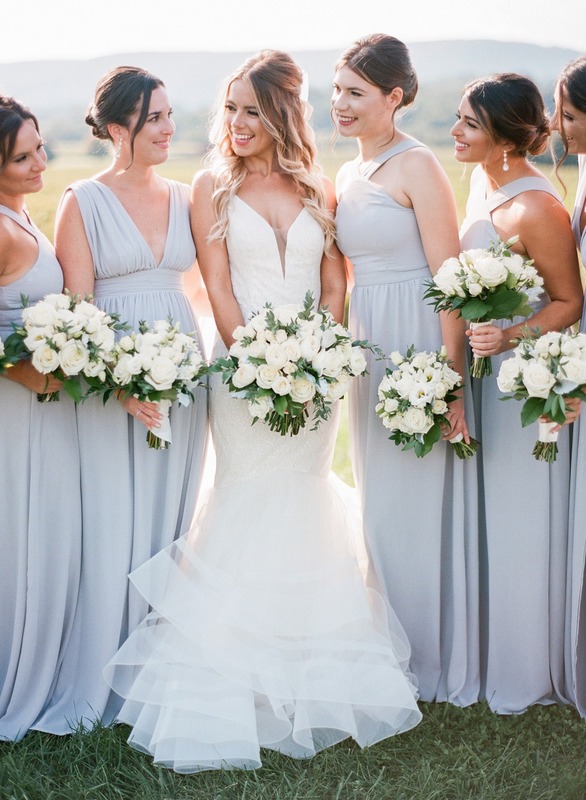 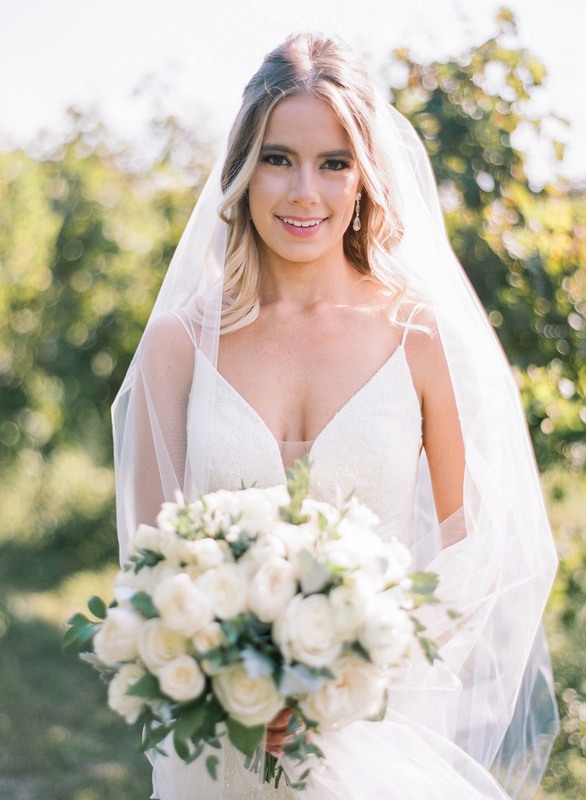 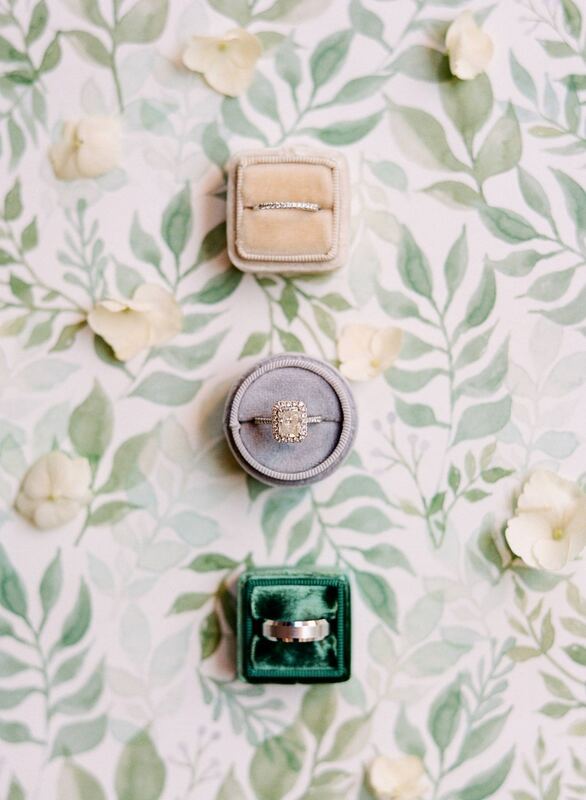 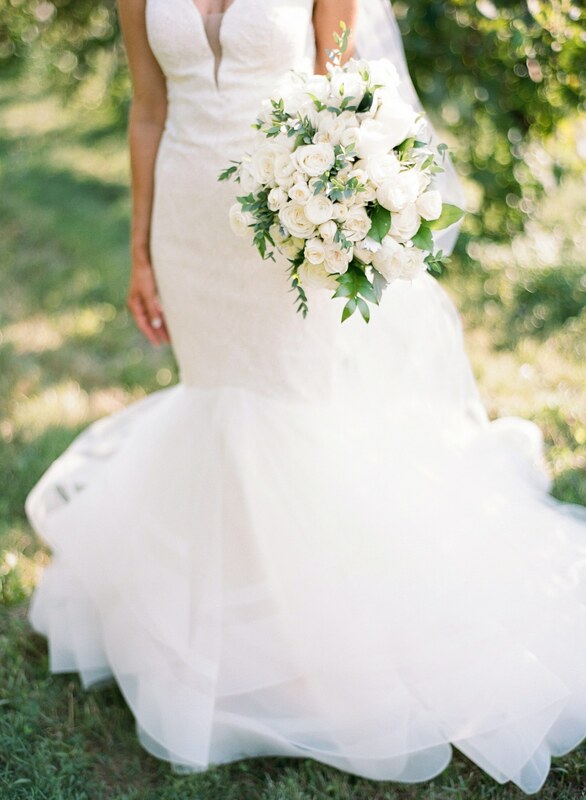 The bride’s stunning Lazaro gown was a focal point of their wedding day, which was designed with a classic palette of organic greens, ivories and gray with metallic accents. 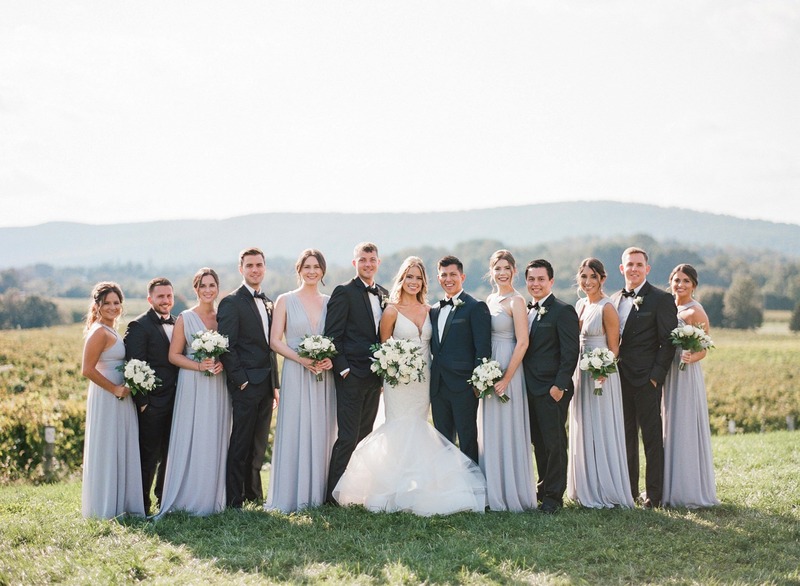 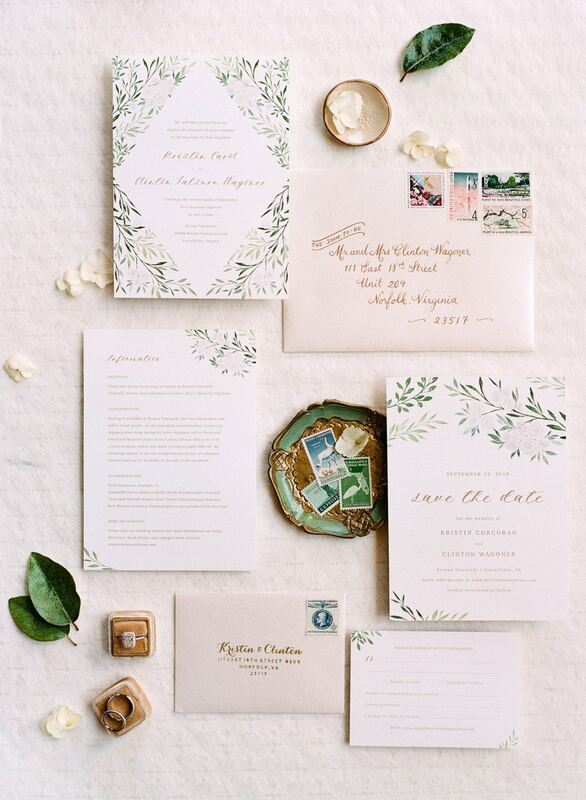 Echoing the organic winery theme throughout the stationery, floral wall and rich-hued metallic flecked linens, the wedding design was beautiful and complemented the mountainous scenery.